It was a jam-packed weekend of harness action with most of the focus on Pocono Downs for sophomore pacers and trotters, as well as a few elders pounding it out on the five-eighths mile. 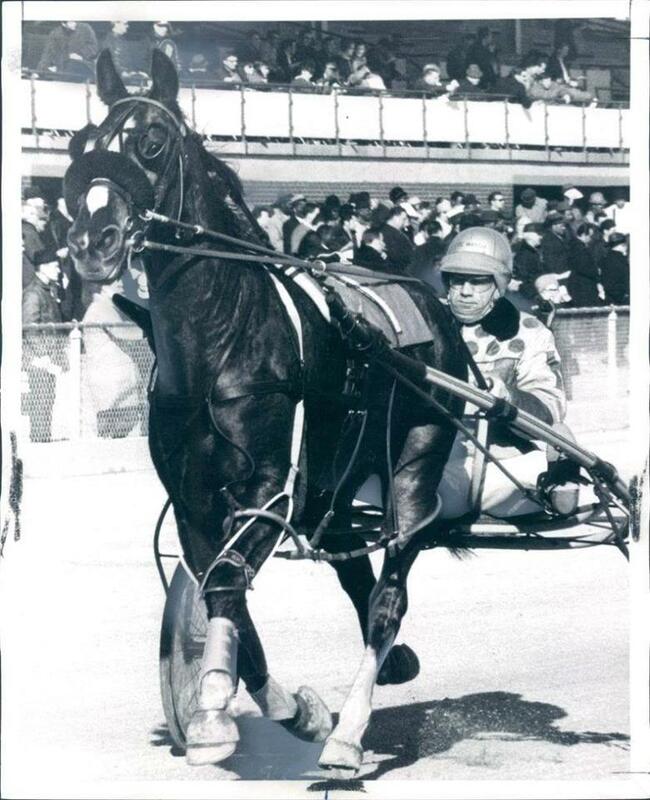 Older trotters were featured at the Meadowlands and Vernon Downs pumped out some lucrative state-bred attractions. That’s where we began to cash, as the June 22 New York Sires Stakes at Vernon produced a win by Ideal Romance, our choice, paying $10.80. We were second with Escape The News and third with Dynamic Youth in the other splits. At Pocono Downs on Saturday, June 23 we were prolific thanks to some fine paying choices in a stakes-laden program that offered a lot of overlays. There was a single elim for next week’s James Lynch Final for soph-filly pacers and we were right on the money with our choice, Darena Hanover. She plowed to a sharp win, paying $19.20. In the Ben Franklin elims, popular older pacers met to create the field for next week’s final (an event formerly at Chester, now Philadelphia). We were hot on two horses in the first of two elims and the best one came through, as Aracache Hanover stormed home first to pay $18.80. We couldn’t go for a price in two events but we managed to pull out some profits through an exacta in the second of the Max Hempt elims. Hurrikane Kingcole was our choice and he won, tied the world record and a track mark in the process, though he only paid $2.80. Our second choice, I Like Dreamin, however, at 11-1, completed an exacta that was a fair price for the combo of odds, paying $23.40. In the second James Lynch elim we warned not to bet against American Jewel, to pass or use her as a key, and she won big, breaking the track record and tying a track record as the prohibitive 1-5 choice. The third Max Hempt elim went as suggested with Bolt The Duer winning easily, paying a healthy $6 as the public’s second choice. At the Meadowlands we were with the crowd in the Titan Cup prep as Chapter Seven scored big to pay $3.80, which if you consider the buzz about his debut at four after remarkable qualifiers is a fair price. Our failures for the weekend included the Maywood Pace at Maywood and the Ellamony Final at Flamboro. In both of those races the dead-on favorites made mince meat of our choices. It’s mid way through month two of our exclusive Hambletonian Trail blog and the previews of races through the week for both divisions with Hambo hopes ensues, as do the reviews of those events at the Hambletonian Society site. Every weekend we offer Balmoral Pick-4-and-win picks at the USTA’s Strategic Wagering Program page which includes suggested win bets. Last week we hit with Cinnamon Spider at $9, So Be It at $8.40 and Lady Lakers at $21.80. Also, we invite you to enjoy our musings on other standardbred topics at my Hoof Beats blog titled Vast Performances. Get onto our mailing list now because shortly we will be making available some exciting information to help you play for profit. By clicking here you will be added to the list and be secure as a member of that list (we do not share the emails with anyone). Eric Carlson shipped east and brought his tack to the lucrative arenas. He is making a good impression on the horsemen communities in the tri-state area and Ray Cotolo got an exclusive interview with him. You can read that by clicking here. In 2007 we covered the Breeders Crown at the Meadowlands and after the elims we called for a big upset in the sophomore colt pace. We liked Artist’s View in the $550,000 event, suggesting that a speed duel was a likely scenario between Tell All (9-5) and Always A Virgin (2-1). From post 10, Artist’s View (pictured left) went off at 42-1, and when the duel we suspected took the field through blistering fractions, our choice closed, won and paid $86 to win. Making the hit sweeter, we also gave Whatta Hotshot as a possible second, which is where he wound up. At eight, Artist’s View has been retired. He earned $788,811 with a mark of 1:49.4 at five. His trainer through that career was Buzzy Sholty. Artist’s View’s dam was Lady Ashee Ann who also produced last year’s Breeders Crown soph champ Betterthancheddar. The son of Artsplace will live in Ohio and his owners are entertaining offers to stand him Down Under. At the Meadows, effective July 2, the minimum bet on all Pick 3 and Pick 4 wagers becomes 50 cents. In addition, the track will introduce a second Pick 4 on each card and cancel the 50-50/Pick-5 wager. The track will continue to offer 50-cent minimums on all superfectas, available on all races with at least eight wagering interests (with the exception of races that kick off Pick 4s). So, beginning July 2, on a typical 15-race card, bettors will be presented 50-cent minimums on two Pick 4s, four Pick 3s and as many as 13 superfectas. Under Pennsylvania law, the minimum bet on any race, regardless of entry level, is $2. For that reason, any Pick 3, Pick 4 or superfecta player must bet at least four combinations at 50 cents to meet the legal requirement.